CMD Beauty was started by Catherine Delf in March 2006. Originally situated at The Haven Hair & Beauty Spa in Gt. Yarmouth, CMD Beauty was re-located in October 2008 to Almond Road Hair & Beauty Studio, Gorleston and has since has gone from strength to strength! 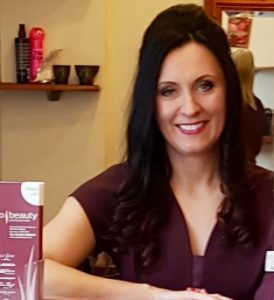 Catherine started her extensive beauty career in 1998, qualifying as Dermalogica Student of The Year from Great Yarmouth College, gaining the CIDESCO International qualification in Beauty Therapy. Catherine has worked in various successful salons in Norfolk, even representing one salon on Channel 5’s programme The Wright Stuff! Being so passionate about the Beauty industry Catherine decided she wanted to pass on her knowledge and experience to others by becoming a College Lecturer. After studying for 3 years she graduated in October 2006 gaining her Certificate in Education. Catherine was a valued member of the Beauty Therapy Department of Great Yarmouth College until July 2009 when she decided she wanted to concentrate on CMD Beauty. Since that time that is exactly what Catherine has done, with new treatments being added every year CMD Beauty really is the place for all your beauty needs! Almond Road Hair & Beauty Studio is a small friendly salon where clients of all ages are welcome. CMD Beauty has two treatment rooms, one for all beauty treatments and one for nail treatments. There are also six chairs for hair stylists which are on a rent a chair basis. There really is a wealth of experience all under one roof for all your hair and beauty needs! Almond Road Hair & Beauty is located in a quiet area so there is no need to worry about traffic making you late for your appointment and there is FREE parking available, there is also a bus stop directly outside for those clients who do not drive.